I have to say I think this is my favorite box so far. 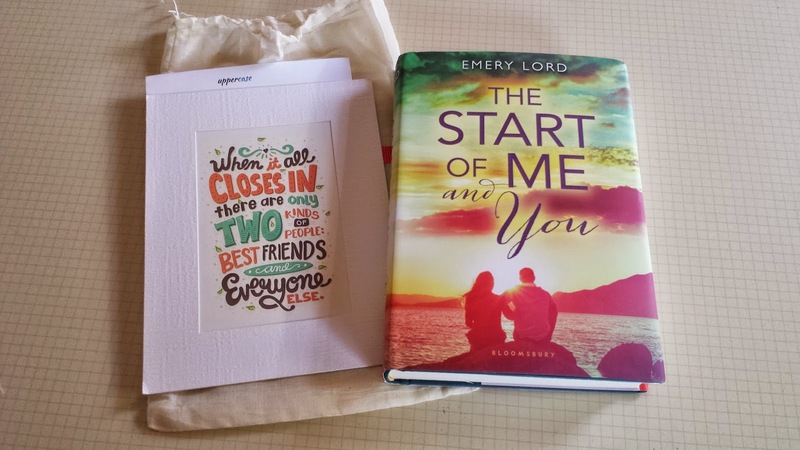 I was excited to get Emery Lord's The Start of Me and You. I actually didn't buy it thinking that it would possibly be April's choice. Plus it's a signed copy. I've been seeing so much about it around the blogsphere that I want to see what all the fuss is about. It's weird how some hype can turn me off and some can make me curious. The book has post-its in it. You go to the site and enter the code and get some extra content. It also came with this awesome quote print that's exclusive to uppercase. 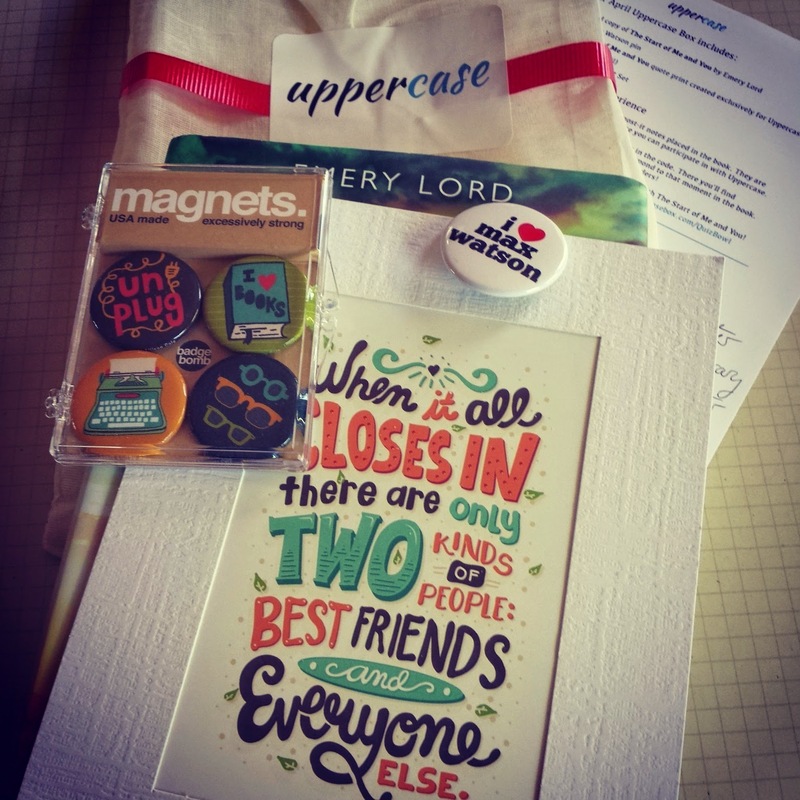 So I'm kind of obsessive lover of buttons and magnets. I put these babies on my fridge immediately after taking this picture. 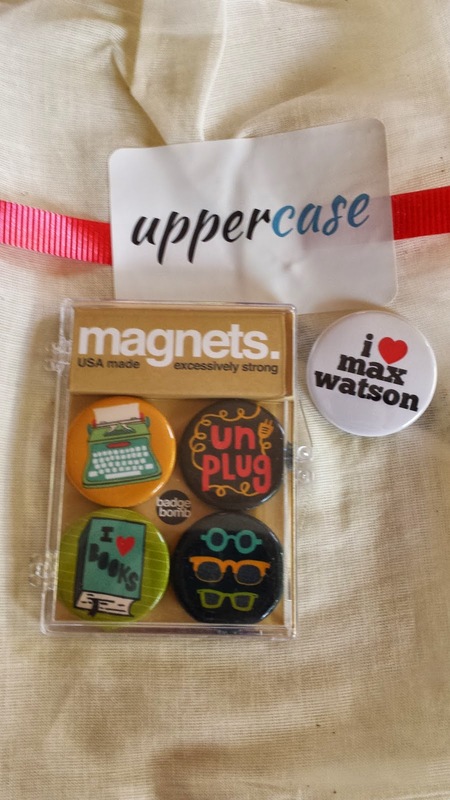 So for me a very exciting and awesome Uppercase Box!! This sounds like such an awesome book box! I've been thinking about signing up for one but I'm not sure which just yet because Book Riot seems pretty good too. Enjoy!